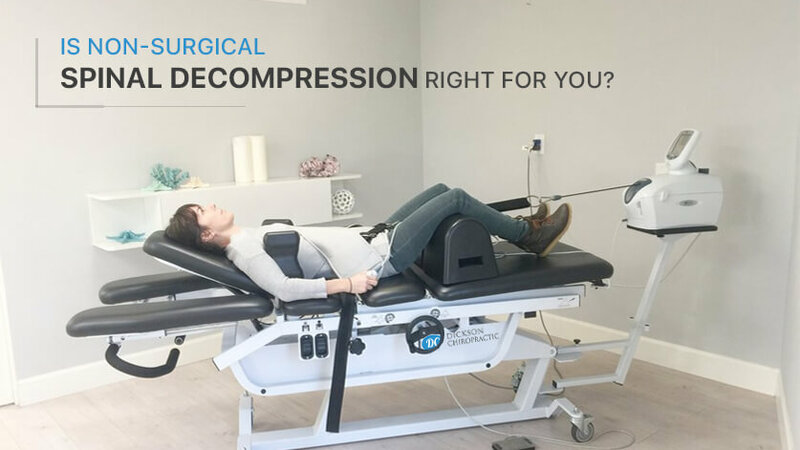 Should you choose Spinal Decompression Therapy for your Back Pain? Does your back hurt every time you bend? Do you find it difficult to stand up after sitting for long periods of time due to back pain? If your answer is ‘yes’, you are not alone. After osteoarthritis and skin disorders, back pain is the most common pain in the US. While surgery can be an option, a better first choice is the non-invasive Spinal Decompression Therapy. Non-surgical Spinal Decompression involves a motorized traction table. This motorized traction device plays a crucial role in alleviating the symptoms of back pain. This method gently stretches the spine. he safe stretching of the body lifts pressure from your spinal discs. Spinal discs are gel-like shields that help protect the spine and sometimes due to gravity and/or an injury they can start to become misshaped. By removing the excess pressure from your spinal discs, you can feel immediate relief. In addition, nutrient-rich fluid and oxygen can once again start flowing which helps your body speed up the healing process. Many healthcare experts are now using this technique to relieve the patient pain. Chiropractic care clinics in Tennessee have found this decompression method is extremely effective in relieving sciatica, neck pain, and back pain. After lying on the table, a strap will be placed around your pelvis and the other near the middle of your body. Depending on the method used, your chiropractor will have you lie face down or up. Your chiropractor will make adjustments to the table settings to provide the proper amount of stretching unique to your needs. Not everyone is eligible to use Spinal Decompression Therapy. Based on your medical background and the cause of your pain, your DC (Doctor of Chiropractic) will determine whether you should use this method. Pregnant women are not usually allowed to use this technique; and if you have tumors, spinal fractures, or severe osteoporosis, you will not be able to use Spinal Decompression either. Your Dickson Chiropractic Clinic, a well-known chiropractic care clinic in Tennessee, offers Spinal Decompression and can help you feel better fast. Visit http://dickson-chiropractic.com to learn how we can help you.